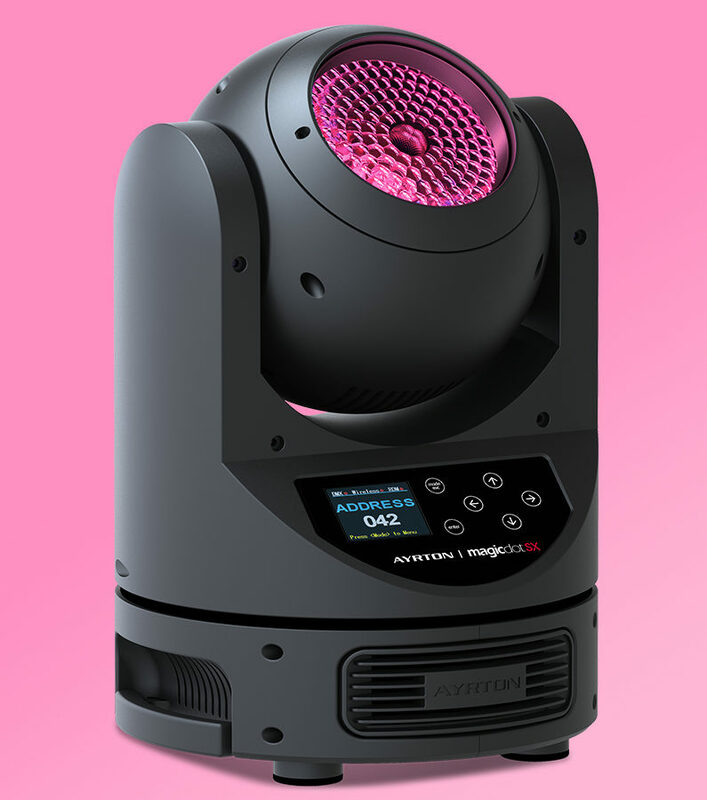 MAGICDOT-SX is an optically evolved, multipurpose, variant of MAGICDOT-R, with the same form factor, dimensions and features, including ultra-rapid beam movement and continuous, unlimited, rotation on pan and tilt. 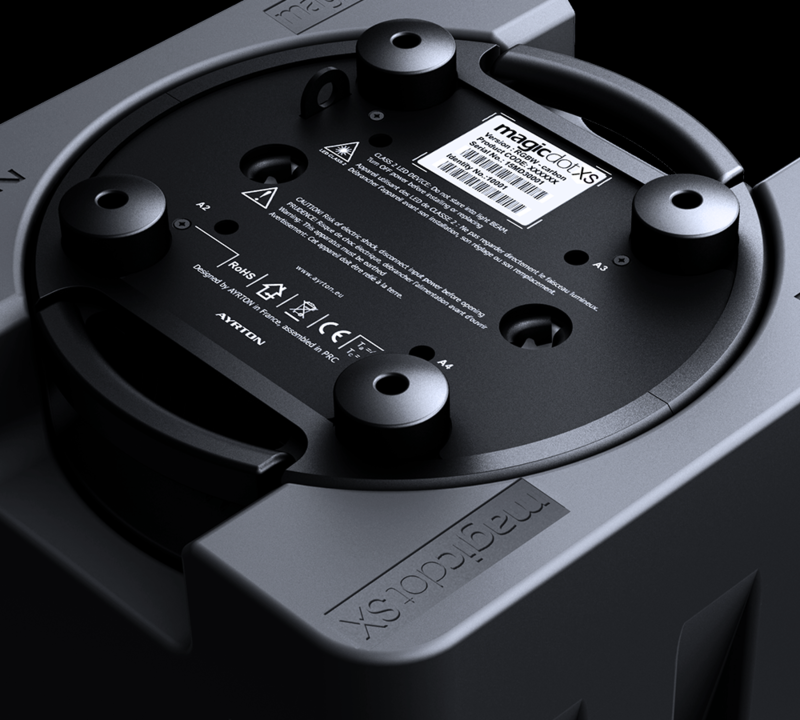 The compact footprint allows multiple MAGICDOT-SX luminaires to be installed with a minimum amount of space between them (patent pending). 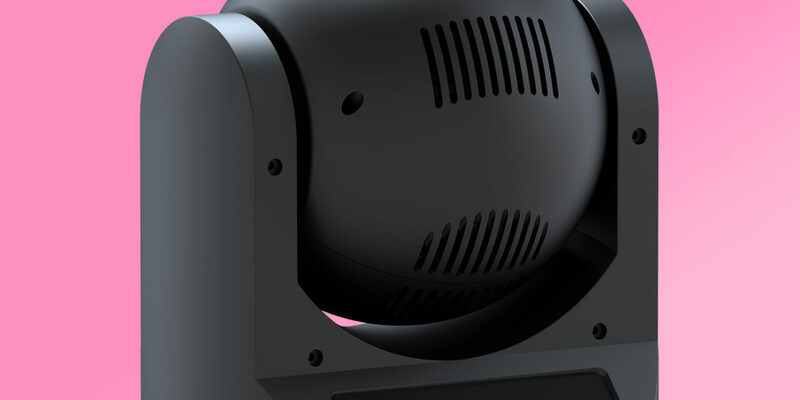 This new luminaire replaces the 4.5° fixed-focus optics with a revolutionary new 8:1 optical zoom that has a fixed transmitting lens, no visible moving parts and a incredible zoom range of 5° to 40° (patent pending). 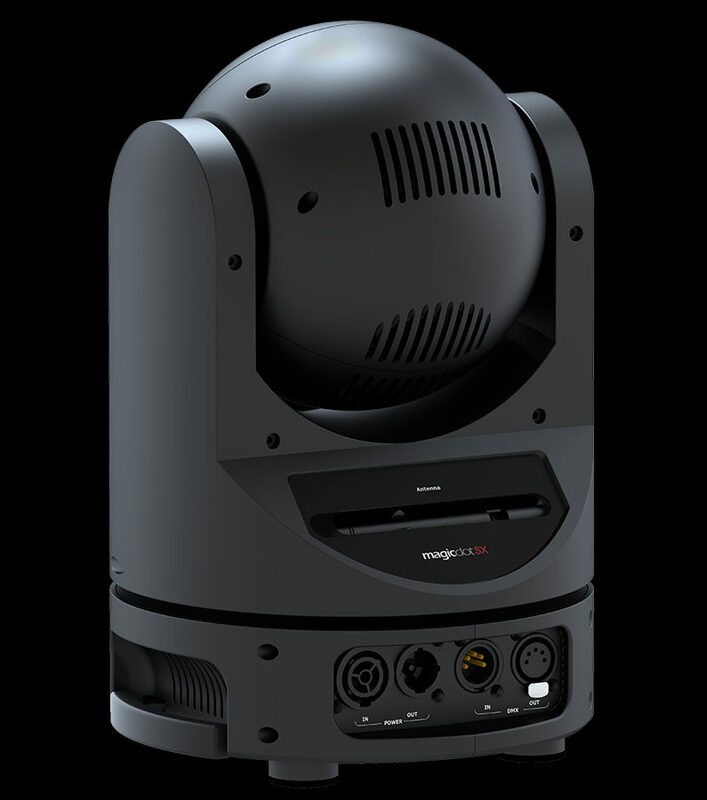 The short stroke of the zoom system permits MAGICDOT-SX to switch from intense Beam mode to sweeping Wash mode virtually instantaneously. 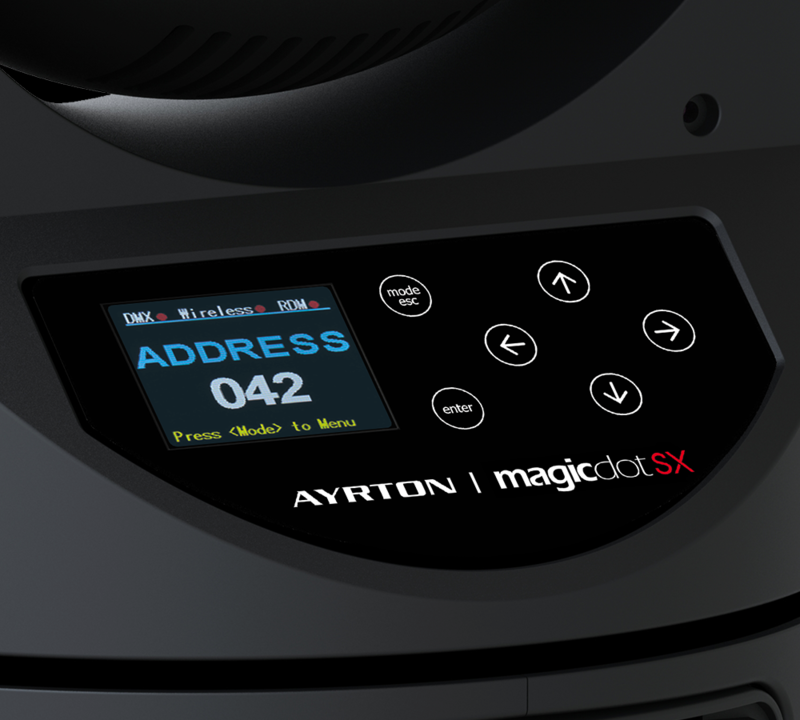 MAGICDOT-SX delivers up to 75% optical efficiency in a tight beam, when the 94 mm diameter collimator is positioned close to the transmitting lens. 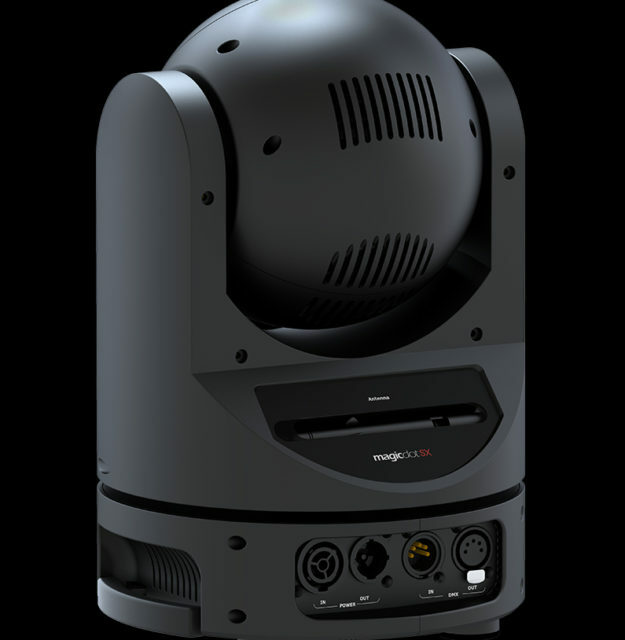 This ensures great compatibility and graphical interactivity with MAGICDOT-R units. 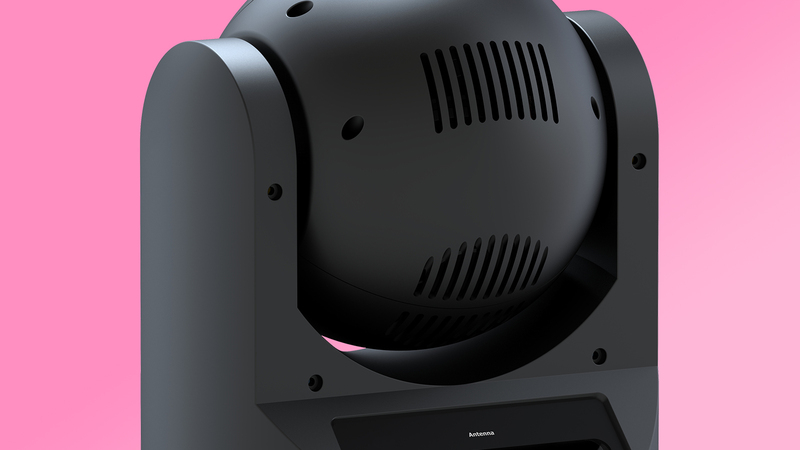 In addition to DMX-RDM control, MAGICDOT-SX can be controlled via wireless CRMX TiMo RDM from LumenRadio™. 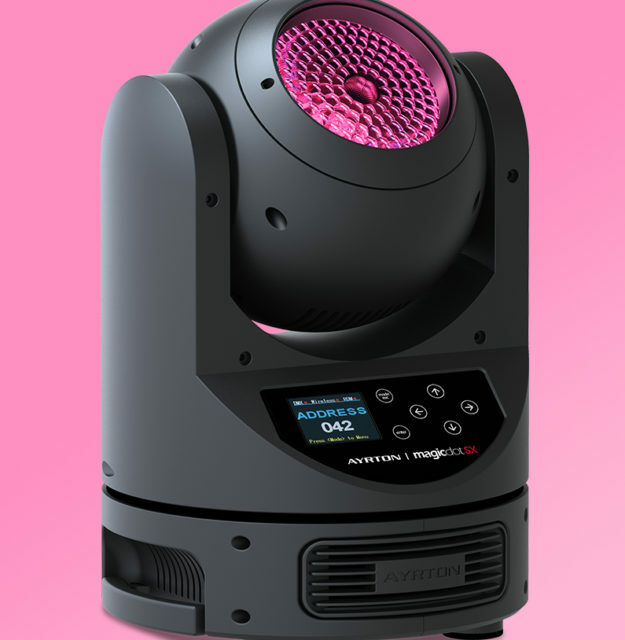 MAGICDOT-SX is a versatile tool that meets a vast array of needs both in stage and architectural applications.